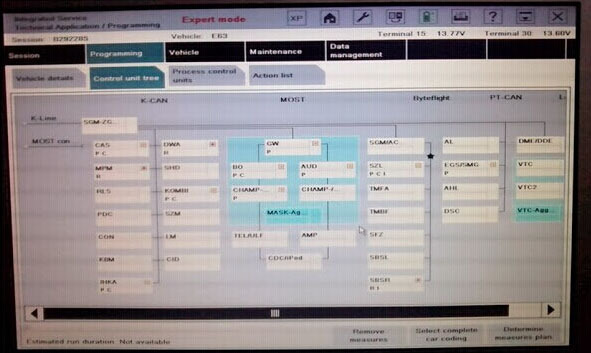 Try only selectability of ECU's. Some ECU modules need flash with 2 or 3 cooperated modules. 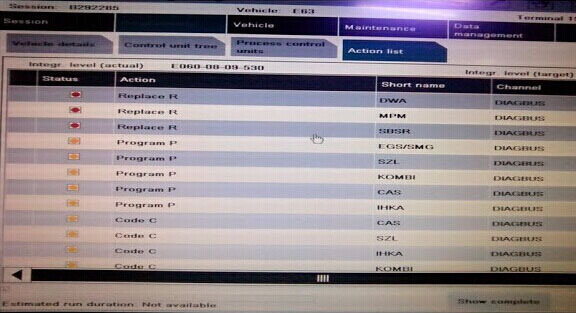 ISTA does not allow program only one, so you need program module you want + other ECU connecting with programmable module. 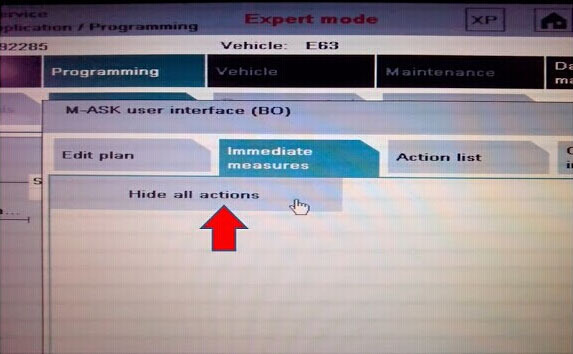 Some modules can be programmed by one without touching others ECUs. 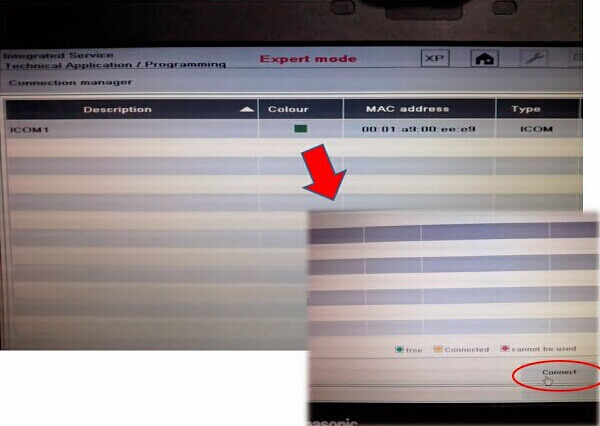 Expert mode does not mean that you can program only 1 module. You can but not always. 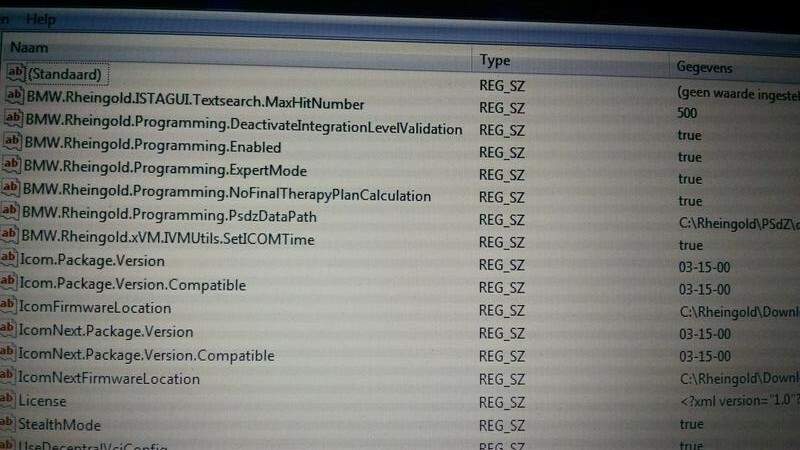 Q: Has anyone figured out single module programming for ISTA4? Only reason to keep ISTA-P held back is single module programming via expert mode for programming vehicles with unofficial retrofits. 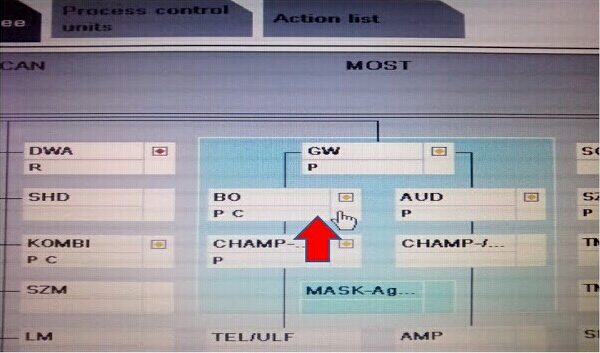 A: Use partial programming, with double click on module choose between coding, programming and no action. Q: Does this allow modules to be 'hidden' from the update? 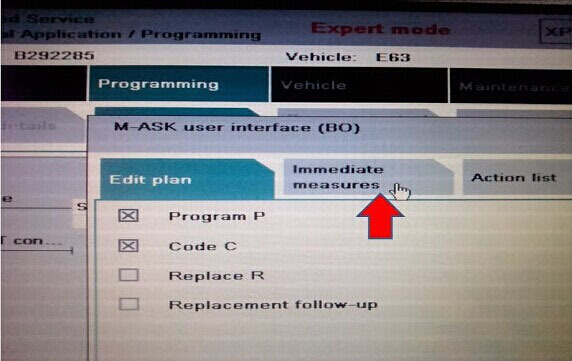 A: When you choose software update and after finishing measures plan calculation you stay on confort tab, change for expert tab and there you can select or unselect the units that should be programmed or coded , then calculate again measures paln and you will see the choosen units plan to be programmed and/or coded. If you don't want to update your CCC, CIC choose partial programming, after that you're choosing which modules to be updated without fear that some other will be updated.